Men spill it, seal friendships with it, and, if they’re aging rock guitarists, have it purified at Swiss clinics. But blood also tells a detective story. Just as the amount, color, odor, and feel of the oil on a car’s dipstick offer clues about wear and tear on the engine, your blood can reveal critical details about the running condition of your entire body. Of course, first you need to know what to look for and how to interpret the findings. That’s why we’ve created a guide on how to read the red stuff. Order up all six of these tests at your next physical and you’ll be doing more than just kicking the tires. This is one of the most commonly ordered blood tests, which is the measure of the concentration of white blood cells, red blood cells, and platelets in the blood. The size of your red cells can be a good indicator of nutritional deficiencies. You want this number, called the mean corpuscular volume, or MCV, to be between 85 and 95 fl. You also want to see that your red cells come in all different sizes, which shows cells at different stages in their life span. 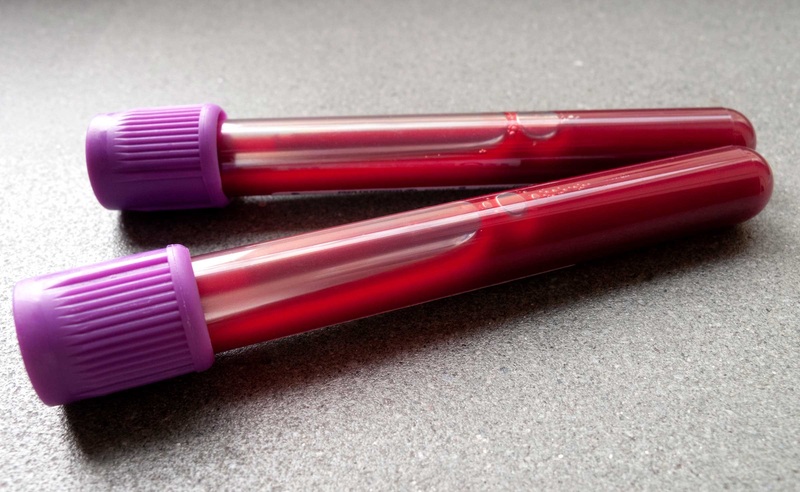 Blood tests are like radar for tracking type-2 diabetes. The standard measure is the fasting glucose test, which is part of what sounds like a congressional subcommittee: the Comprehensive Metabolic Panel. Fasting glucose is a one-off reading, so it’s often paired with the A1c test of your average blood-glucose level over the preceding 2 to 3 months. Take an OGTT regardless of your fasting-glucose and A1c scores if you score 140 mg/dl or higher on a random glucose test (one you take without fasting beforehand), your belly’s bulging (that is, your body mass index is 30 or higher), or you experience head-snapping slumps after a high-carbohydrate meal. Ditto if you have a family history of diabetes or heart disease. The test can last 2 to 5 hours, depending on the version you take. If you hit the 2-hour mark of an OGTT with a reading above 140 mg/dl, you’re prediabetic. If it’s above 200 at that point, there’s no “pre” about it. If you have risk factors for cardiovascular disease—such as past cardiac events, a family history of the disease, hypertension, or you’re a smoker—your target LDL may be below 100 mg/dl. If you’re at high risk, ask your physician about an expanded lipid profile test, like the Vertical Auto Profile, which further breaks down the dangerous subtypes of LDL. Pay great attention to tracking your prostate-specific antigen (PSA). Elevation of this marker can signal a problem—at least sometimes. PSA testing is not an exact science, because factors external to the prostate can cause the marker to rise. A high PSA reading may point to a benign enlargement of the prostate or even a bacterial infection known as prostatitis. That’s why the trend can be as important as the static number. Have a PSA test done every year and compare the result with that of the year before, to see if further investigation is warranted. If your results are off the mark: Your doctor may order the more specific free T3 and free T4 follow-up tests.